Every time Valentine’s Day approaches, hearts of young men are everywhere. Just as hard they think asking a girl out is, choosing a gift for your teenage guy crushes are as hard too. 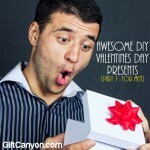 Because want to show how you have a crush them, you’ll be sure to impress teenage guys with these Valentine’s gifts. Here’s what to buy for them. It’s easy when you have a list like this. 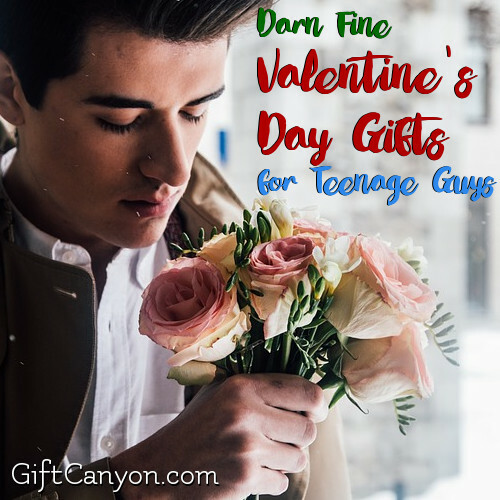 Here are our collection of darn fine Valentine’s Day gifts for teenage guys! Familiar of the tall, dark and handsome trait for the man? 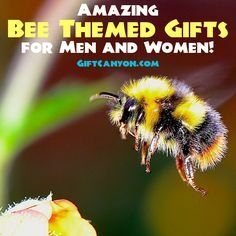 At least one of this applies to the gift you can give teenage guys so they can feel the man in them. 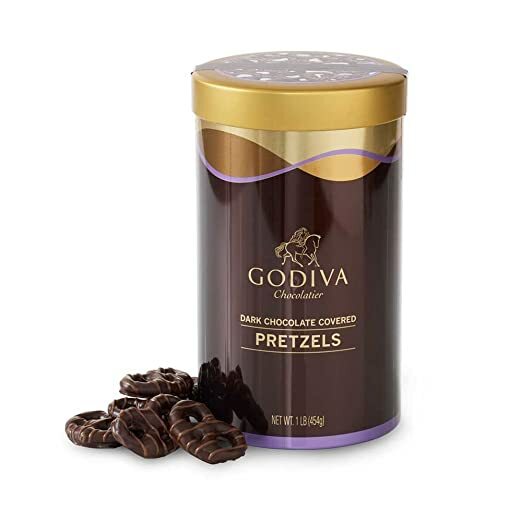 Gift this dark chocolate covered pretzels this Valentine’s Day. They sure are more than satisfying. 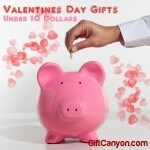 A Beautiful V-Day Gift That Will Literally Make a Huge Impression! This is not just your any other balloon. 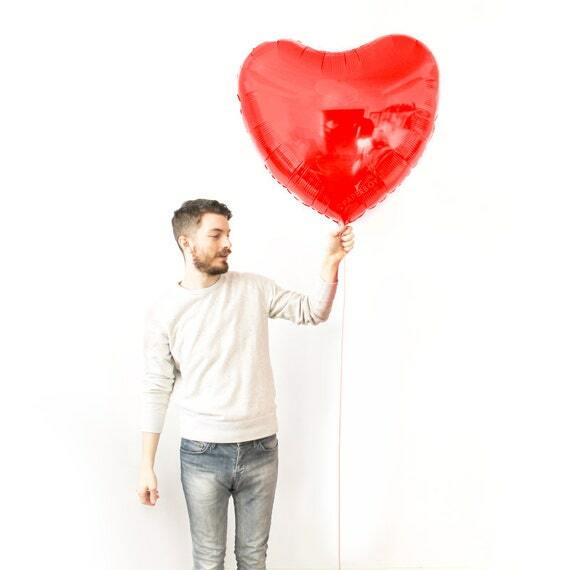 This large statement balloon is heart shaped and absolutely perfect for your teenage guy. This red balloon is 3 feet wide so it really does make a big impact. 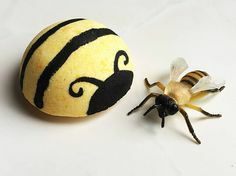 A sweet way to show you care! 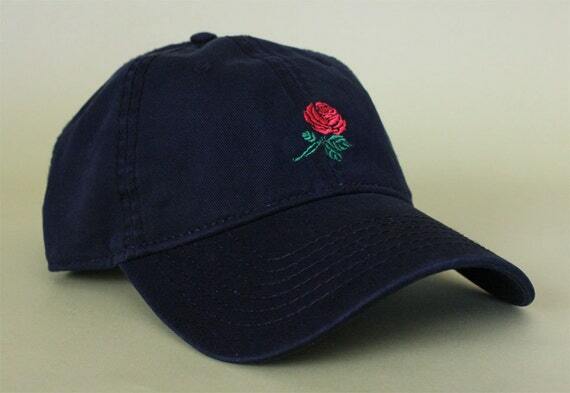 This black baseball cap has a lovely rose embroidery that makes it the ideal cap this Valentine’s Day. 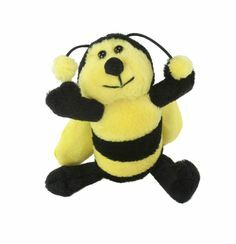 It is super soft and an adjustable back strap so that one size could fit all. Its vintage feel also makes it wearable even after Valentine’s Day. 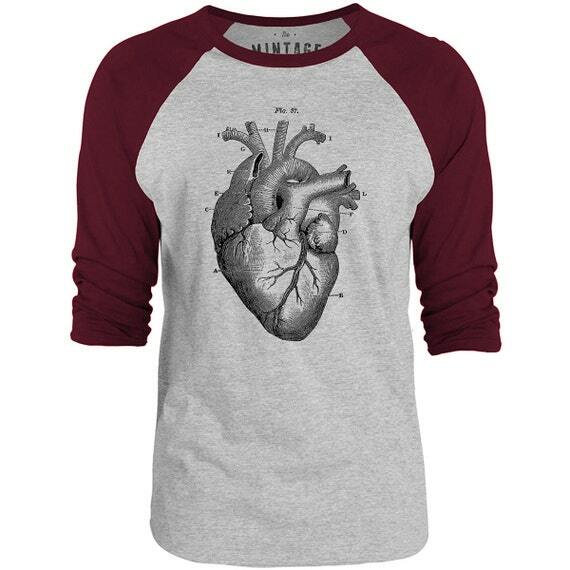 This ¾ sleeved baseball T-shirt from Mintage has a heart anatomy print that used water-based ink for a tee that lasts long. This cool shirt is so soft and comfortable as it is made with 100% cotton. Now teenage guys don’t have to worry about what to wear this Valentine’s. Get this shirt that passes your message of love this Valentine’s Day. Give him your (anatomical) heart! 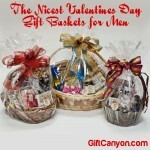 A Red-Colored Valentine’s Day Gifts for Teenage Guys! 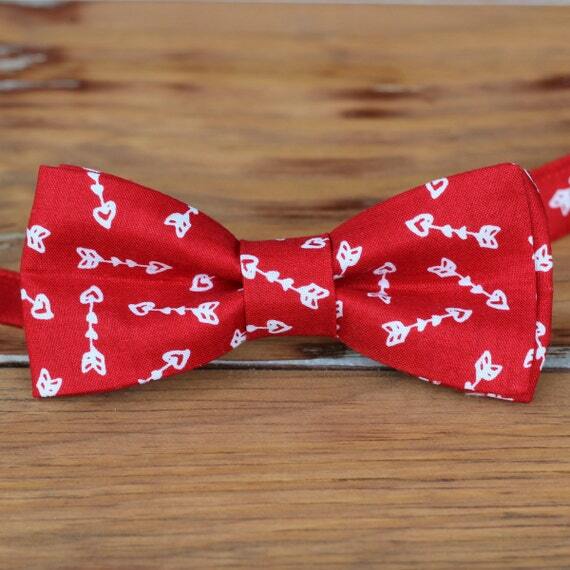 This red bow tie boasts its Valentine’s perfect designs of white arrow hearts. And it’s also made of high quality cotton. It’s perfect for Valentine’s date and prom night too! This is sure to look great on your teen guy crush. A Nice Practical Valentines Present He Can Use! 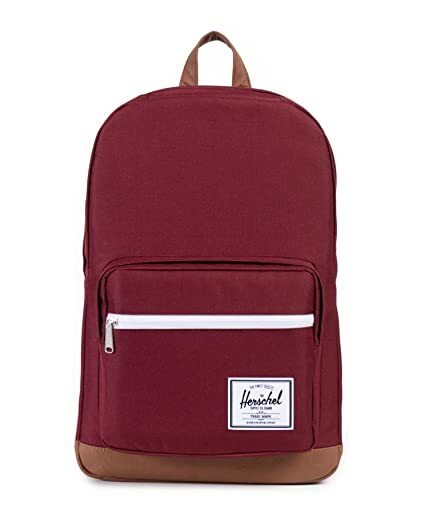 This Classic backpack with signature striped lining and the Herschel logo patch on the outer pocket is a great Valentine’s day present for teenage guys. Its shoulder straps are also padded and adjustable. It is red so it’s just time for the season of love. This is the best gift teenage guys will find hard to say no to. 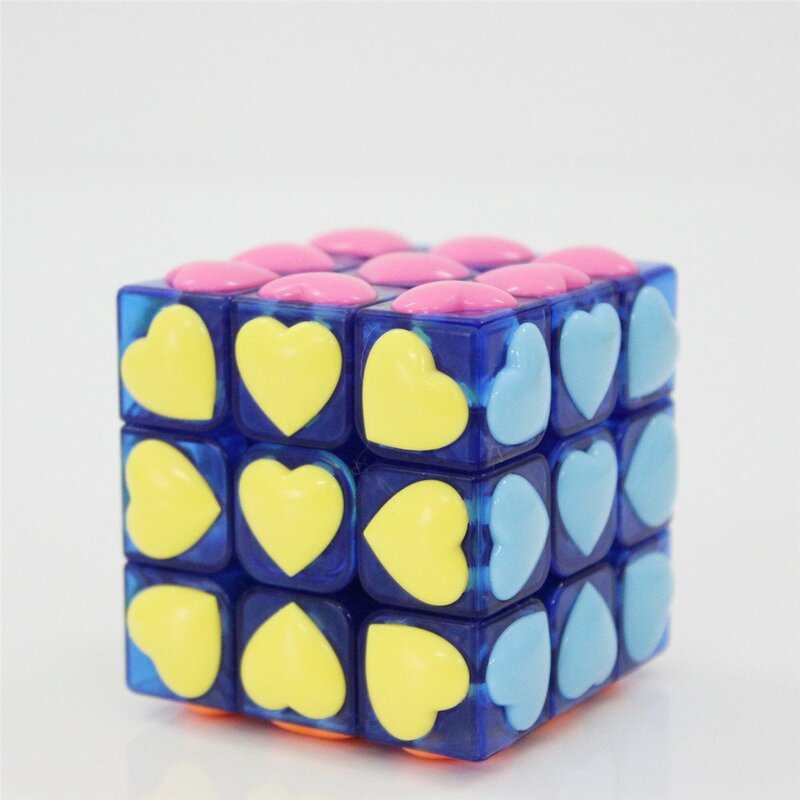 What do you get when Rubik’s Cube meets hearts? A new hearty obsession that will last even after Valentine’s Day. This cube from GoodPlay provides smooth and comfortable hold. It also has anti pop features to stand all the fast rotations. What a thoughtful way to increase your teenage guys’ intelligence! 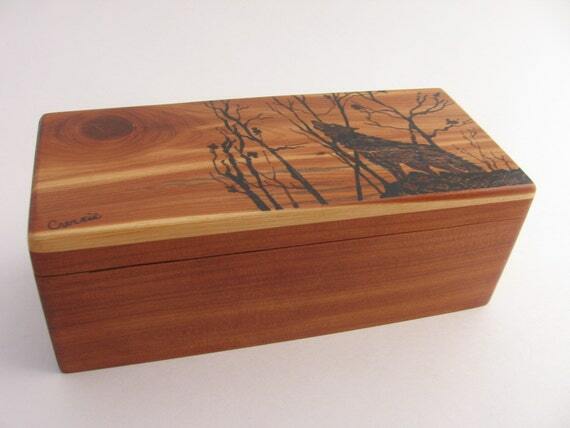 This small wooden keepsake box is decorated with a wolf done with pen and ink on its lid. It’s a well built box made of cedar wood and antique toned brass hinges. Its exterior is lacquer finished, while the interior is left unfinished so the raw cedar scent is preserved. 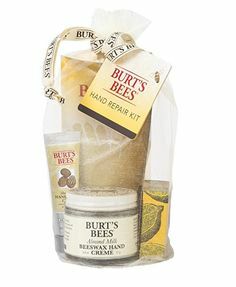 You can also personalize it with your teenage guy’s name and a message for him that will be wood burnt on the inside of the lid – this for FREE! This is a nice box for him to keep all his life. It’s perfect to hold his watch, wallet, and even his favorite Valentine’s card. Guys Like Tech and Here is a Tech Related Gift! 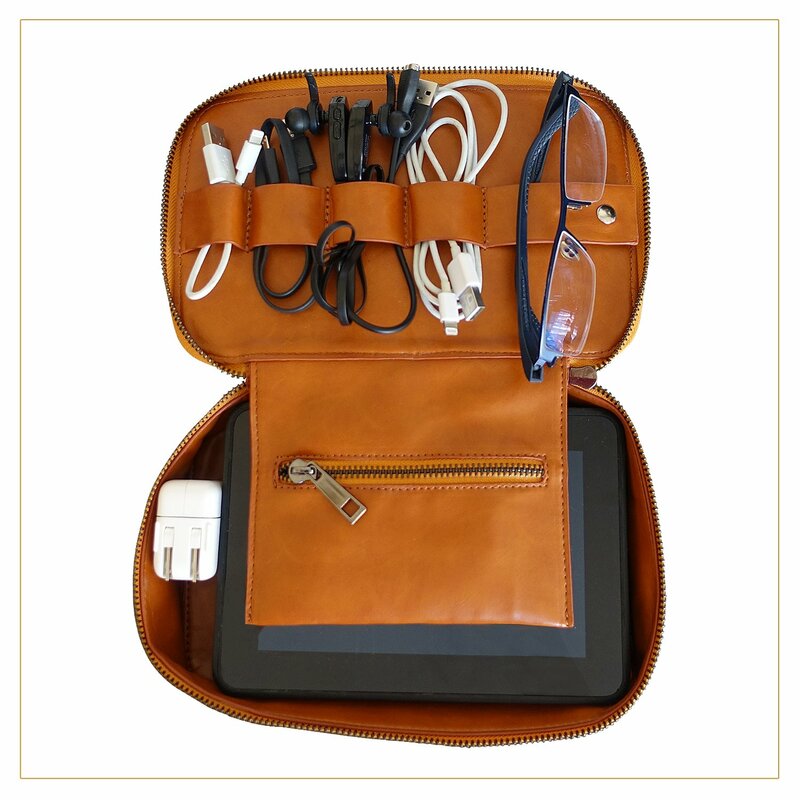 This tech organizer kit with pockets and dividers stores your phone, battery, adapters, cables, cords, earphones and more! Just put the cables and adapters on one side, your devices on the other, and your most valuable items in the secure zippered pocket. Cut the clutter of cords and also the other accessories that comes with your smart phone. Aside from its sturdy structure, it’s elegant brown color and minimalist design keeps every teenage guys stuffs organized and safe. It’s designed with your needs in mind and gifted with your love. Another Tech Valentines Day Gift For Him! Practical Too! This modern phone docking station is perfect for your teenage guy to keep his phone, watches, wallet, coins, rings and glasses in place. The main catch here is the phone dock that s 9 ½ inch in length and 8 inches high, perfect for iPhones. 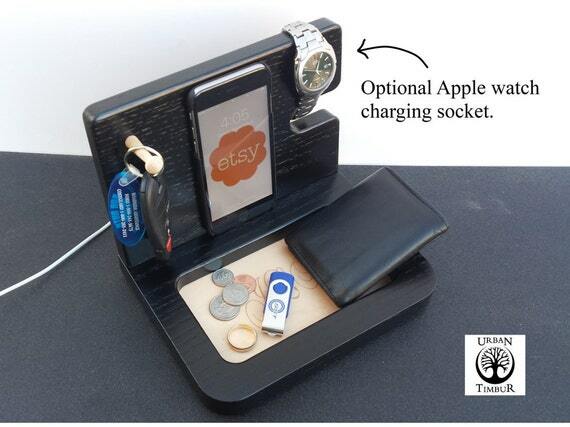 It also has a watch holder that can hold 2 watches and a ring post to store several rings. 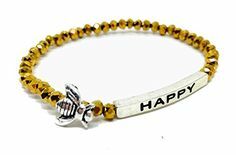 There are also 10 colors to choose from so you can personalize more – mahogany, walnut, black cherry, carrington, cherry, kona, cognac and black. Make this Valentine’s Day unforgettable for every teenage guy. 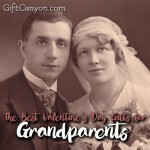 Who said shopping for Valentine’s Day gifts is hard when you have this list? 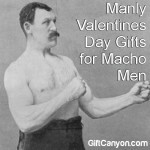 Manly Valentines Day Gifts for Macho Men!